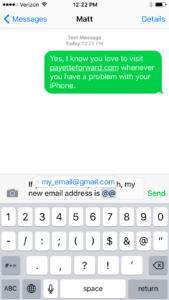 You type in your email address on your iPhone a lot, right? Ever make a mistake when typing it in? Me too—all the time. What if there was a way that you could type in your email address perfectly every time, ten times faster than you do now? You can! 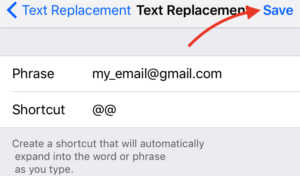 In this article, I’ll show you how to use a little-known feature called Text Replacement so that every time you type @@ on your iPhone, your entire email address shows up instead. And best of all, you can use this tip to type anything faster on your iPhone. 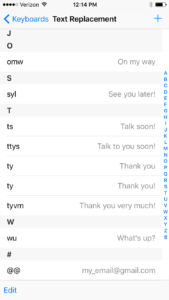 Go to Settings -> General -> Keyboard -> Text Replacement, and you’ll see a list of all the shortcuts that are currently set up on your iPhone. Most people don’t realize they’re here. Ever wonder why ty changes to Thank You when you type it in? 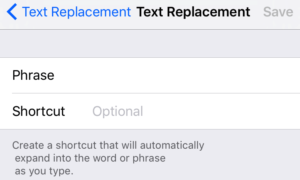 It’s not magic—it’s a Text Replacement shortcut. To add a new shortcut, tap the blue plus in the upper right-hand corner of the screen. You’ll see a box called Phrase and a box called Shortcut. First, enter your full email address in the box next to Phrase. Then, enter @@ in the box next to Shortcut. When you’re done, tap Save in the upper right. Open the Messages app or any other, and type @@. As soon as you do, a blue box will appear with the shortcut inside. When that box appears, just keep typing to insert it in the text. It’s a no brainer, right? I didn’t come up with the @@ trick myself. I saw a friend in New York City do it, and when I asked her what she had done, she told me she’d been doing it for years. I’ve known about Text Replacement for a while, but it never occurred to me to use it for my email address. When she told me about it, I knew I had to tell you. 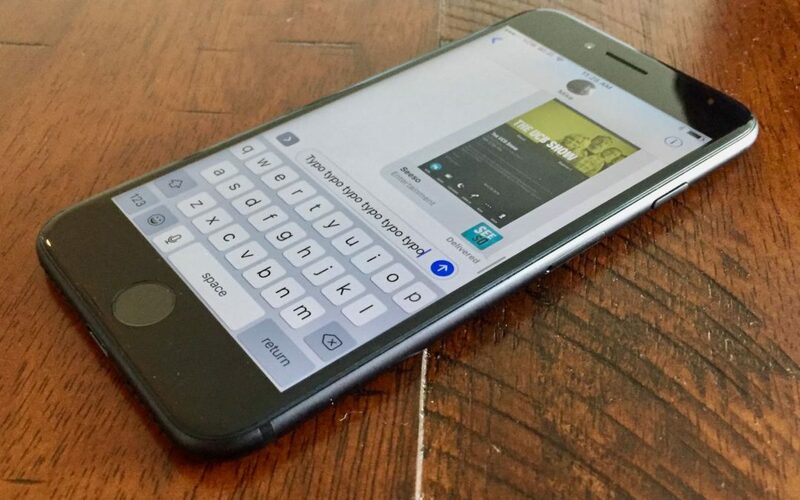 Text replacement has all sorts of uses, so give it some thought. As you use your iPhone over the next few days, pay attention to the things you’re typing over and over again. Whether it’s your full name, a phrase you use to begin or end your emails, or a parade of emojis, Text Replacement can make your life a lot easier. What better use for text replacement could there be than an emoji version of the lyrics to The Fresh Prince Of Bel Air? (OK, there are a few—but this illustrates the power of text replacement.) Copy and paste this parade of emojis to dazzle your friends. Now this is a ? all about how my life got ?⬆️⬇️ now I’d like to take a ⌛️ just ?? I’ll tell ya how I became the ? of a ???? called ?? Now that you’re dazzling your friends with your lightning-fast thumbs (I won’t tell if you won’t tell), I’d love to hear about the other uses you’ve found for Text Replacement in the comments section below. And while you’re here, check out my brand new Cell Phone Savings Calculator to learn how you could replace your phone bill with one that costs a lot less, and get new iPhones while you’re at it. Previous ArticleHow Can I Save Money On My Cell Phone Bill? Here’s The Truth! Next Article Apple ID Verification Keeps Popping Up On iPhone: The Fix!